Get the best tips on how to successfully build and motivate your team. From resources to help with your candidate search, to sealing the deal with contracts and salary - we've got everything you need. Following steps will help you identify your perfect match. At certain times, such as in the case of unexpected absences, busy periods, or skills shortages for specific projects, a temporary or fixed-term professional may be enough to help your organisation flourish. In more senior roles, interim managers can help the business take a next step, before handing things back to the permanent staff. Identify the key requirements you need for your business by determining three essential skills you must see in the candidates' resume. Remember - our expert consultants can help you with this stage if you're ready to write the advert. Think about your fit in terms of behaviours - what is acceptable and not acceptable to your business? Make sure you have a clear picture about the work environment in order to select candidates that will gel well. Once you have decided exactly what you need from your new team member, you need to articulate this into a specification. Your recruiter will work with you to do this, offering insight into the candidate market to ensure you appeal to those most likely to suit you. To find your ideal employee, you first need to identify your specific needs and wants. You will then need to articulate this into a clear job and person specification. Follow our structure to ensure you attract the right applicants and have the detail you need to evaluate CVs speedily and ruthlessly. • A person specification - a profile of the person you think would fit your culture and requirements. To prepare these you'll first need to identify your specific needs and wants. The specifications you prepare will help you evaluate CVs speedily and ruthlessly, as well as providing a list of pertinent questions for interview. You're more likely to discover the most suitable skills and experience if you open yourself to a diverse pool of candidates. Employers that limit diversity parameters effectively reduce the number of candidates they can consider. Diversity improves productivity and makes bottom-line business sense. Hiring a demographically diverse workforce can improve a company's financial performance. Making gender diversity, and diversity in the wider sense, a business priority can lead to financial benefits and help a company realise its full potential. Ideally in a workplace that operates as a true meritocracy, the best people are promoted and the best ideas are implemented. Those people who want to participate, have put in the work, gained results and proven themselves are respected, rewarded and promoted. While you may be pleased to receive a large number of applications for your advertised role, it can be difficult and time-consuming to sort through all the CVs effectively. Use these points to get you started on analysing CVs, and refer back to your original specifications for guidance. Don't neglect social media in your search for a new candidate. In the right hands, LinkedIn can be used to track down ideal candidates who meet your values and required experiences. The interview is the most important part of the recruitment process, both for you and the candidate. It's your opportunity to see how this person would fit into your organisation and to see if they have the knowledge and expertise you need to improve your business. For the candidate, it's a chance to examine the surroundings and get a sense of what you are like as an employer, so be sure to put your best foot forward and be welcoming, but have probing questions prepared in advance. 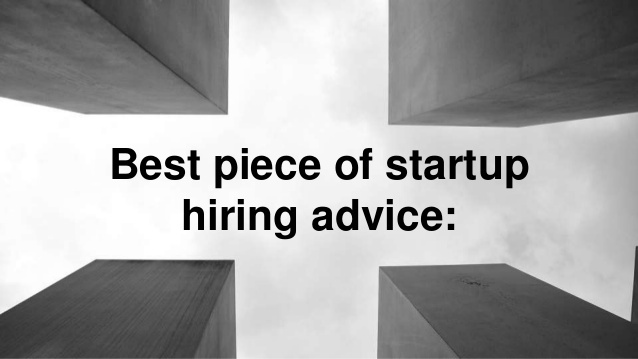 • You're potentially basing several years of service on a one-hour interview, so make sure your interview structure allows for the most enlightening conversation. It's an unfortunate truth of the market that in some sectors, the most highly in-demand candidates will want to be retained by their previous companies. By anticipating and preparing for a counter offer, you can usually avoid the situation altogether. It is therefore crucial to ask the right questions in advance. • Why are you unhappy in your current position? • What have you done to address the situation? • Have you told your employer of your concerns? • What was their response? • If you are successful obtaining this position, do you expect to be counter offered? • If so, how will you respond? Will a monetary counter offer only solve the problem in the short-term? • How committed are you to your reasons for leaving? These questions will do more than just inform you on the values of your potential candidates, they will reinforce the candidate's decision to leave their organisation. You've invested time and effort in identifying the right person for the job, so secure their acceptance with a well-worded offer letter. A positive job offer, extended swiftly, can make the world of difference and the chances are higher that they will accept. • Avoid standard letters - Take time to write something original, or at least to amend your firm's standard letter so that the candidate maintains enthusiasm. Be positive and personal, so the chances are higher that an acceptance will be forthcoming. • Act now - Once you've decided to make the offer, it's best to write and dispatch the offer letter straight away. • Selling the offer - Emphasise the most appealing benefits in the package you're offering. The more you can do to keep your organisation's name at the forefront of the candidate's thoughts, the better and making such an invitation in your offer letter is a method of 'closing' that really makes an impact.